The Ministry of Transportation Ontario (MTO) maintains records of Ontario traffic ticket offenses, convictions and suspension data related to motor vehicle use. According to the Ontario Road Safety Annual Report (ORSAR) 2007, there were 1,305,599 convictions related to the Highway Traffic Act (HTA), which contributed to nearly 89.8% of all the motor vehicle convictions in Ontario. The second largest percentage group was insurance related convictions under the Compulsory Automobile Insurance Act (CAIA), which was a total of 85,738 convictions and comprised 5.9% of the total. These two main groups are followed by out of province exchanged convictions (under the HTA) of 27,928 (1.9%), and the convictions under the Criminal Code of Canada of 16,938 (excluding 709 convictions for young offenders). In general, a “traffic ticket” falls under two categories. For minor offences, there will be a set fine for the ticket. For more serious offences, the ticket will be in the form of a summons which will require you to attend court where your guilt or innocence will be determined and penalties will be imposed. Parking tickets are different. There are no demerit points added to your driving record. If you do not pay the set fine, you will not be able to renew your vehicle permit (licence plate). Your fine will be referred to a collection agent and the information will be sent to a credit bureau if you fail to pay on time. If you paid the fine within the required time frame (15 days), there is almost no other consequence. You could do nothing, which is not recommended because once you are convicted, even in your absence, and fail to pay a fine within the set time, this will cause further consequences, i.e. affecting our credit, your licence plates and your driver’s licence. You can pay the set fine without going to court, which admits that you are guilty of the offence. You can go to court, enter a guilty plea with submission to request a reduced penalty. You can go to court and plead not guilty and fight the charge, either to something lower or a full trial. 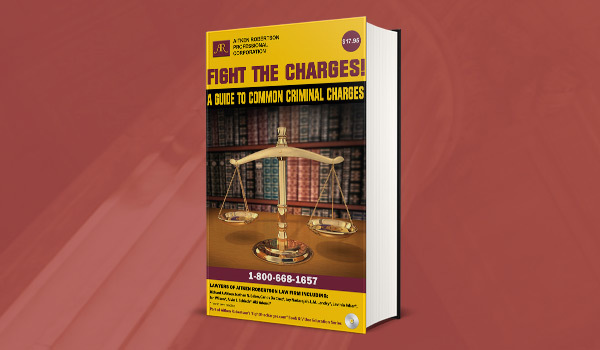 Even though you will not get a criminal record for a provincial offence, such as a traffic ticket, it is always advisable to fight the charge because the conviction will remain on your driving record and you will not be pardoned for those convictions. These will remain on your record forever! With the assistance of our experienced legal representation, there is an opportunity to avoid or reduce demerit points, avoid increasing insurance premiums, the length of the licence suspension, vehicle impoundment, the amount of the fine and any jail time. You would be required to pay reasonable legal fees, but there is a great opportunity to avoid financial burden or legal consequences in the long run. Investing in proper legal representatives should save you money in the long-term. You should also keep in mind that the initial consultation is usually free; you have nothing to lose by contacting us. Please refer to “Detailed Contact Information”. The legal fees usually pay for themselves through lesser fines and insurance premiums very quickly, not even accounting for the other legal consequences. The officer formed a suspicion that Mr. T. had alcohol in his body and told him that he would require him to give a screening sample of his breath. The officer then went off to find a roadside breath screening device.